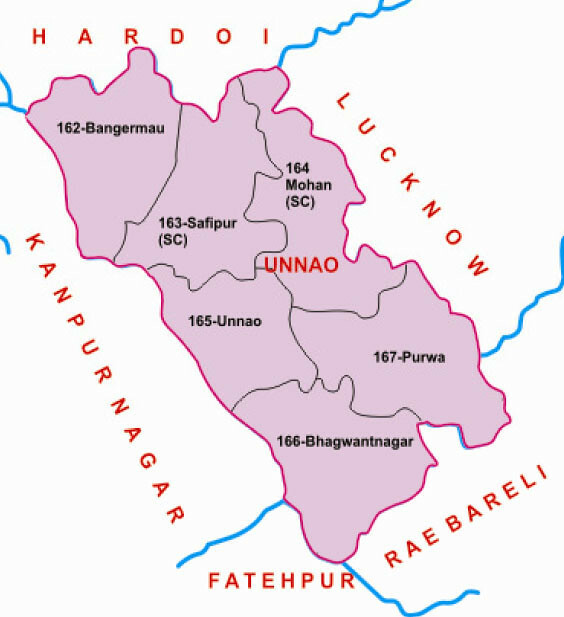 There are six legislative assembly constituency in Unnao district for the 2017 Assembly elections. They are 162 Bangermau, 166 Bhagwantnagar, 164 Mohan, 167 Purwa, 163 Safipur, 165 Unnao. When Uttar Pradesh assembly election 2017 is getting ready to electios new Assembly, Unnao is not anywhere behind in the election heat. Unnao District is a district of Uttar Pradesh state in northern India. The town of Unnao is the district headquarters. The district is part of Lucknow Division.